Prof. Schniepp and his Ph. 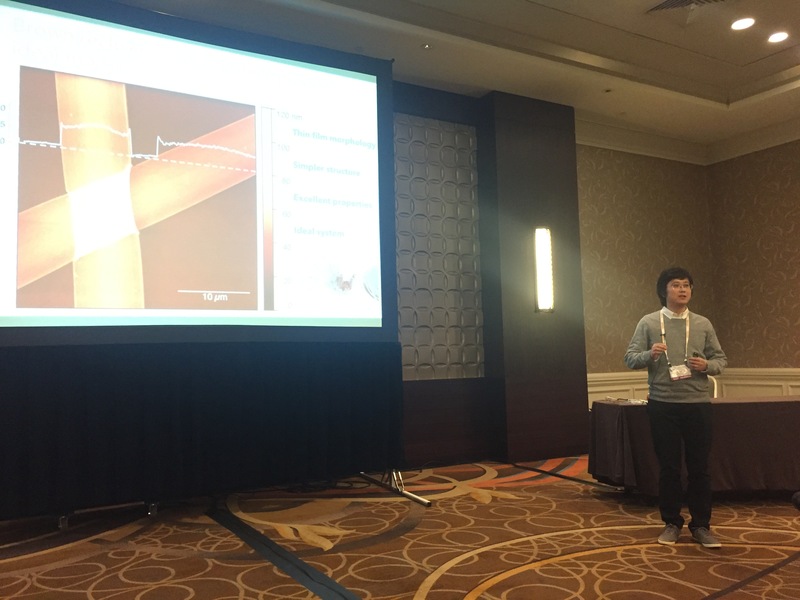 D. students Will Dickinson and Qijue Wang made their appearances in the Material Research Society (MRS) 2016 fall meeting early December 2016, in Boston. Qijue presented his work of Anisotropic Mechanical Response and Failure of Spider silk Reveals Its Hierarchical Structure during the meeting. His work addresses the problems concerning the structural organization of spider silks. As one of the largest research conferences in materials science, this MRS conference attracts thousands of researchers from all over the world.